Rotherham United's Will Vaulks celebrates after the final whistle. 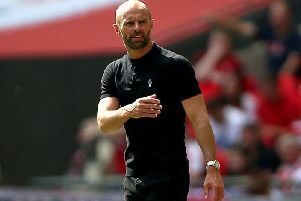 PAUL WARNE has voiced his pride at Rotherham United clinching a Wembley play-off final place in his first full season of management – and believes it has made amends for a desperate 2016-17 campaign. Just over a year on after a disastrous season which saw the club relegated from the Championship in pitiful fashion after winning just five of their 46 matches and finishing bottom of the table, the Millers are one game away from an instant second-tier return following last night’s 2-0 League One semi-final second leg home victory over Scunthorpe United, which clinched a 4-2 aggregate success. Goals in each half from captain Richard Wood and Will Vaulks booked the Millers a Wembley final date on May 27 with Shrewsbury Town, managed by former Rotherham favourite and second-highest appearance holder Paul Hurst. Warne said: “It is definitely an achievement. If you had asked me after the first game away at Fleetwood, obviously I would have took it and to finish with a final at Wembley is something that cannot be taken off me. “I am really pleased for a lot of people who work here and it is nice after the 12 months we had last year of real suffering. Rotherham United's Semi Ajayi leads the celebrations. 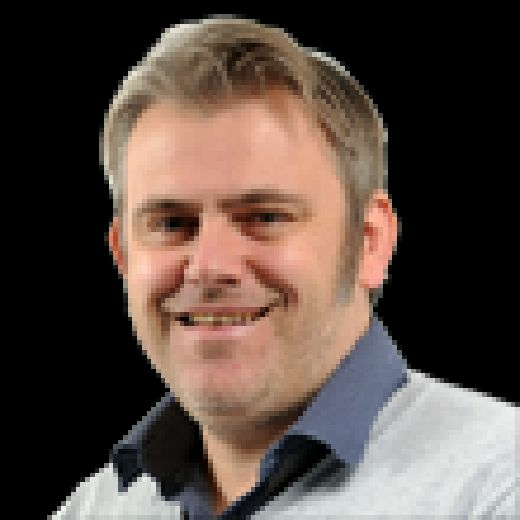 Warne admitted to being a bag of nerves ahead of the game and professed his relief that the Millers can now look forward to a Wembley play-off final date for the third time in eight seasons. Warne added: “It is a long day. I went to the cinema in the morning to watch Deadpool 2 with my wife, just so I did not think about football. It is difficult to be a supporter of a team who never win and at least this year, we have given the fans something to smile about and be proud of. “Russell Slade taught me that; that you can just lose yourself in films.